Welcome to the new Woodworkers Institute website, the fantastic newly re-developed online home of the market leading woodworking magazines from the Guild of Master Craftsman Publications. The new look Woodworkers Institute provides you with all the latest information from the world of woodworking, in the form of interesting features, wood-related products, press releases featuring new products and cutting edge news. In addition to providing you with all the latest 'Woody' information, the Woodworkers Institute allows you to look at projects, features, techniques and tests from our four woodworking magazines: Woodturning, Woodcarving, Woodworking Plans & Projects and Furniture & Cabinetmaking. Under the heading of each magazine you will find hundreds of articles in an easily searchable format. Each day we update more new projects, tests, features, videos and technical articles, making the Woodworkers Institute the most comprehensive and frequently updated woodworking website in the UK. The new look website is more vibrant and up-to-date, easier to navigate, and we hope the Woodworkers Institute will be the place you come to get all the latest industry news, find out about brand new products, as well as browsing our extensive online archive. We also have a community section for members to discuss their latest projects, share inspiration, ask a question to one of our resident woodworking experts or just have a casual chat. And because we are woodworkers too, our team of writers and editors are frequently posting their thoughts via the blogs and making comments in the forums. There will also be regular competitions and giveaways on the site so don't forget to check back in with us as frequently as you can. In fact, to launch the site we've come up with a fantastic £20,000 giveaway and we're giving away a massive £20,000 worth of prizes over the first few months. To be in with a chance of winning one of these fantastic prizes, all you need to do is visit the website daily and find the special symbol that we've hidden on one of the pages. Once you locate the symbol, simply click it, fill out the form below, and we will let you know what you've won via email. Prizes include a massive selection of power tools such as Trend T4 Router and Hitachi Cordless Drill Driver, as well as various books and pieces of woodworking equipment. 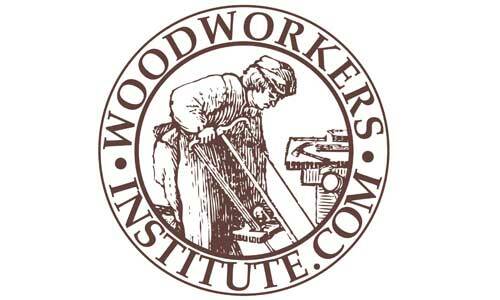 Our aim is simply to make the Woodworkers Institute a home for those who have a passion for working with wood. From the Forum - Chosen by the Members - Bat21 again!